Massachusetts is a treat for running in the fall. Those who love autumn running can follow the foliage peak map from mid-October in the Berkshires to early November in southern Massachusetts. 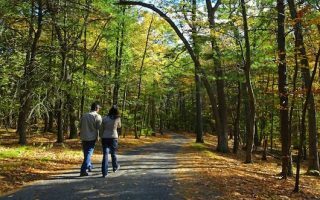 Our guide to fall foliage runs in Massachusetts highlights some of the state’s most iconic routes. In Boston, there’s the famed Emerald Necklace. Just west of the city, the Minuteman Path from Lexington to Concord is 5 miles of running glory. 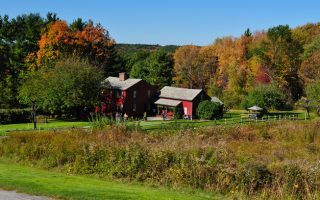 We also feature several “apple orchard” runs in the Harvard-Bolton-Stow area, a Cranberry Bog tour in Carlisle, and some wonderful foliage routes in western MA and the Berkshires. South of the city, massive Blue Hills Reservation has miles of wonderful roads and trails for running. 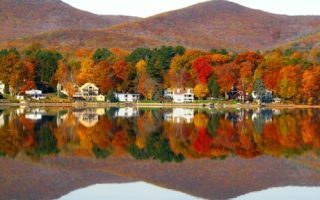 Peak foliage is earliest in the western part of the state, usually mid-October. 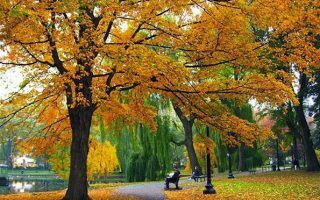 Then, it’s about 1 week later in Boston’s western suburbs, late October/early November in metro Boston, and as late as Nov. 10-15 in the southern part of the state, especially near the ocean. The map below allows you to enter a date and location to track peak foliage! A greenway originally conceived by Frederick Law Olmsted, running 10 miles from the State House to Franklin Park. Highlights include the Comm. 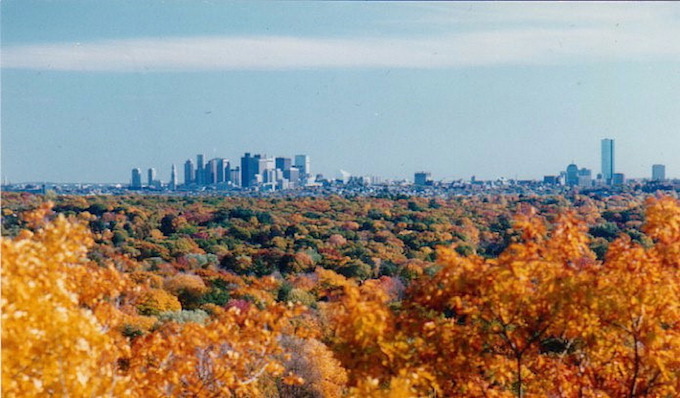 Ave Mall, Fens, Jamaica Pond, Arboretum, and Franklin Park. A wonderful destination run if you have the time. 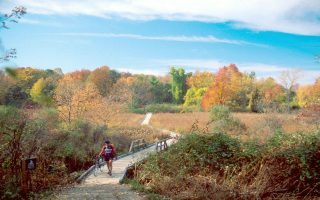 The Minuteman Trail is a 5-mile gravel trail following Revere's steps, from Lexington to Concord. Woods, historic sites, gorgeous fields and meadows. One of the most beautiful college campuses in the country is a special treat at the height of autumn. 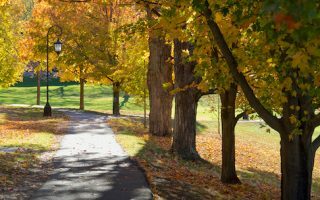 Enjoy the 2.75 mile path around Lake Waban, and DIY around the several miles of paved trails around the campus. 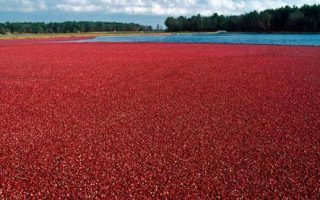 There is nothing quite like the views of cranberries at harvest. The Cranberry Bog has paths along a dike with great views. 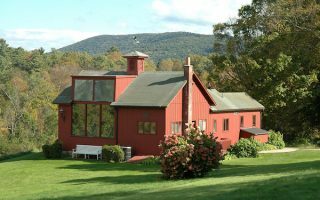 Enjoy this in combination with 1,000 acre Great Brook Farm State Park, which is 1.5 miles away and has wonderful trails for running. 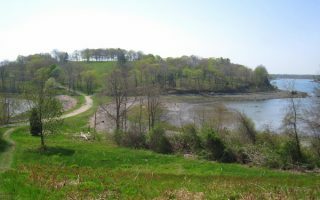 Overlooking Hingham Harbor just south of Boston, World End offers several miles of roads and trails, flanked by specimen trees, with great views to the water and the Boston skyline. Enjoy 3+ miles of carriage road type trails in this Olmsted-designed park. 7,000 acres of preserved land, incorporating 5 towns. 125 miles of trails -- some of them great for running. Look for the wider, flat trails on the map. For a real challenge, 1-mile Summit Rd. is closed to cars and has 350 feet of elevation gain averaging 10% grade. Three routes in the orchard towns of Harvard, Stow, and Bolton. Lovely roads, with fun hills and great views to orchards and the valley. 5 and 10 mile options from the Apple Harvest Ramble in Harvard, or a route along the new Assabet River Rail Trail. 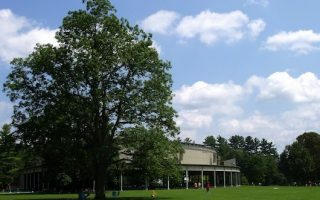 A run combining the fabulous grounds at Tanglewood with the trails of Kennedy Memorial Park, 2.5 miles away, and scenic connector roads. A great mix for fall. Hilly. A list of classic fall New England runs wouldn't be complete without tribute to Norman Rockwell... Enjoy the trails on the 36-acre grounds, and then follow the footsteps of one of Rockwell's favorite bike routes on the well-shouldered Rt. 102 or Averic Road. This one's a bit of the beaten track, courtesy of the folks at Berkshire Sports. This hilly, but quiet and low traffic 5 mile route through Lanesboro is mostly dirt, including one challenging hill. A great way to experience the Berkshire woods in all their unspoiled glory.